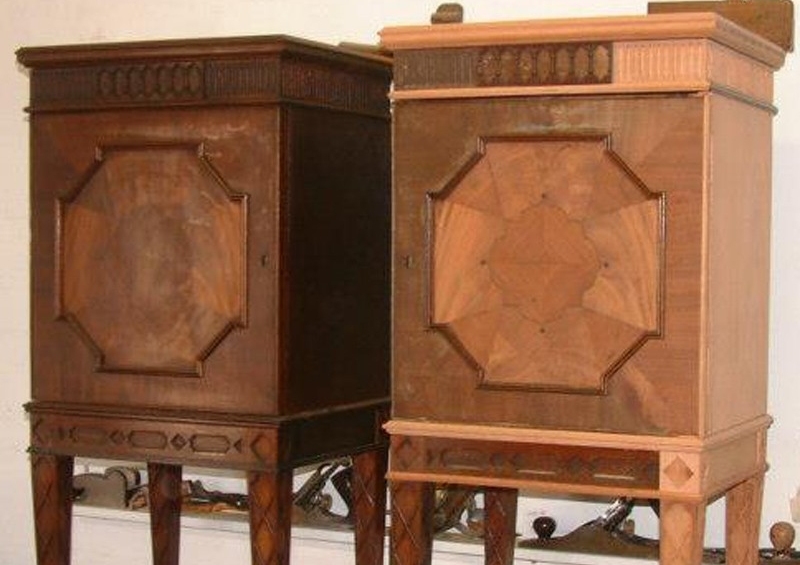 These were part of a bedroom suite by Gillows of Lancashire, one of which was half destroyed by fire. We were asked by an insurance company to attend the house and give our opinion on whether the cabinets were economically restorable, which they were. We began to source timber of similar quality and grain structure to that of the original cabinet (we have a vast quantity of old timber to select from that we have built up over the past 30 years). The construction involved replacing solid timber, some veneering, inlay and a small amount of carving. 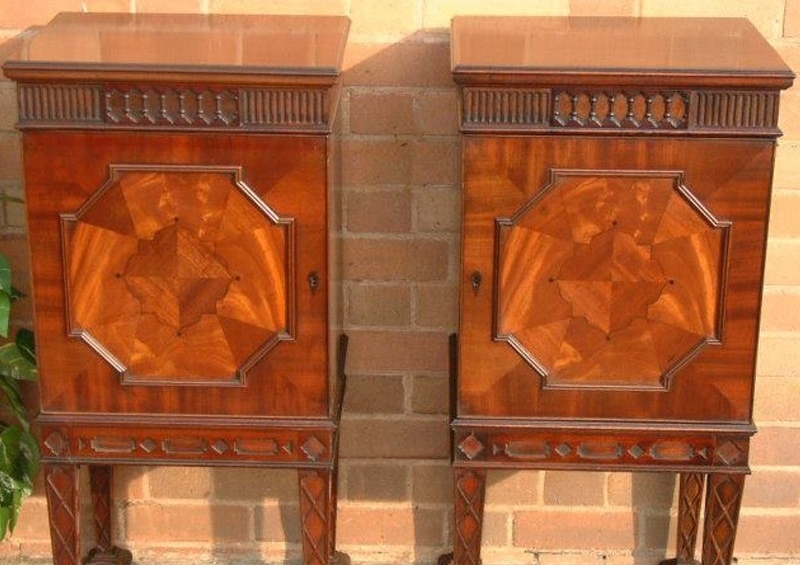 Once this was complete we coloured and french polished it, making it indistinguishable from the original cabinet. Most importantly the owner was delighted with the work.